Huge Savings Item! 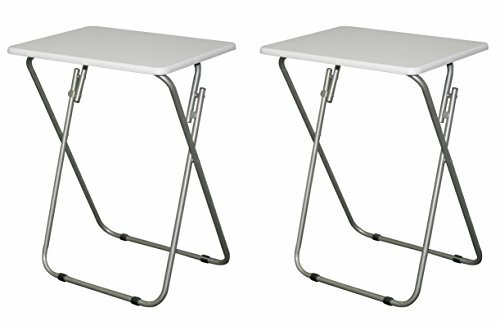 Save 14% on the eHemco Set of 2 Folding Tv Trays Tv Tables - White Tops by eHemco at RVTE. Hurry! Limited time offer. Offer valid only while supplies last. Fully assembled, lighter than wood one, easy to carry. Manufacturer: Chicago Stool & Chair,Inc. Publisher: Chicago Stool & Chair,Inc. Studio: Chicago Stool & Chair,Inc.